The AIB Club of the Year awards, the highlight of Macra’s annual conference, took place in the Heritage Hotel, Portlaoise on Saturday October 25 last. 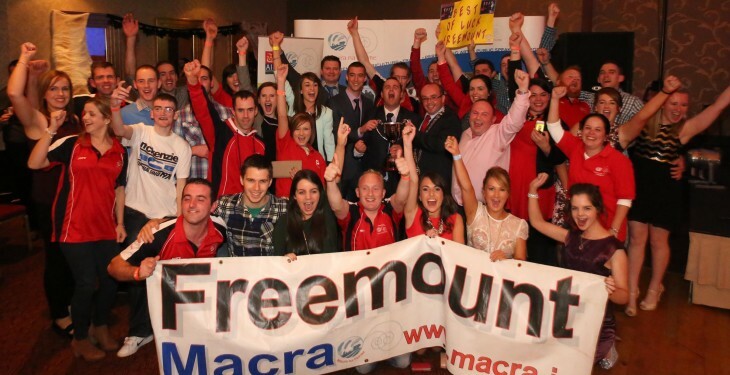 Seven clubs made it to the final round of the competition, with Freemount Macra, Avondhu, Co. Cork honoured as 2014 AIB Club of the Year. To mark their achievement, Freemount Macra club received a cheque for €1,500 while the two runner-up clubs – Glanmire Macra club, from Seandun, Cork, and Limerick City Macra club – each received a cheque for €500. There were also a number of additional awards presented on the night. Veronica Wheatley, from East Laois Macra, was presented with the award for Best New Member and received the prize of a laptop, while Hill 16 Macra, Co. Dublin was awarded the AIB Best Emerging Club Award. The Macra All-Ireland final, with the highest attendance of spectators of any Macra competition, was among the highlights of the Macra annual conference. The AIB Club of the Year competition recognises excellence in Macra clubs throughout the country. Clubs are assessed on the planning and execution of their development strategy, involvement in the club’s local community, and the level of participation of club members in a variety of activities at club, county and national level in all of the organisation’s programme areas. Macra na Feirme National President, Kieran O’Dowd, said the AIB Club of the Year Awards is one of Macra’s most prestigious competitions. “We are delighted, along with our sponsors, AIB, to be able to reward our best clubs and members. Congratulations to the very worthy winners who are a credit to Macra and their communities”. 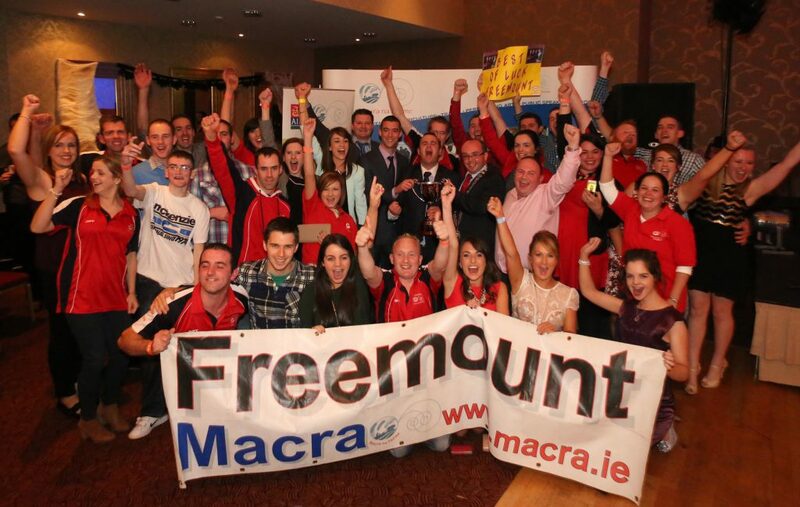 Freemount Macra came out as the top club after club officers underwent a stringent interview process with a panel of adjudicators and produced a multimedia presentation which was shown to more than 300 delegates at Macra’s annual conference.